Women are Called to Preach – Part 2 – Scriptural Prohibitions? 1 Cor. 14:34-35: The women are to keep silent in the churches; for they are not permitted to speak, but are to subject themselves, just as the Law also says. If they desire to learn anything, let them ask their own husbands at home; for it is improper for a woman to speak in church. 1 Timothy 2:11-15: A woman must quietly receive instruction with entire submissiveness. But I do not allow a woman to teach or exercise authority over a man, but to remain quiet. For it was Adam who was first created, and then Eve. And it was not Adam who was deceived, but the woman being deceived, fell into transgression. But women will be preserved through the bearing of children if they continue in faith and love and sanctity with self-restraint. These passages are not universal prohibitions for women preaching. Rather, Paul is demonstrating a universal principle: True followers of Jesus Christ are willing to set aside their rights in order to advance the gospel. Paul lived this principle out in his ministry, and it is foremost in his mind when he addresses the multiple problems that confront the Corinthians. There were circumstances unique to the Corinthian and Ephesian churches that created an environment where the advancement of the gospel was better served if women temporarily set aside their rights to speak in gatherings. Paul is addressing those circumstances. Paul also indicates that he is expressing his personal desire that women be quiet, and that he is not giving a timeless principle. We also observe that in other passages Paul (and the other apostles) permitted women to speak. In Corinth and Ephesus it was best that women first learn propriety. This was more important than their freedom. The women were uneducated, and were exiting a pagan religion dominated by females. Paul was concerned with the behavior of the women, and how their behavior impacted their witness to the church and the larger culture. Pagan religion in Corinth and Ephesus encouraged women to be disruptive and to emotionally exalt themselves. Women in the Christian gatherings were mimicking these pagan rites. Should All Women Wear Head Coverings? Similarly, the appearance of the Corinthian women is addressed by Paul with the requirement that all women wear head coverings or shave their head (1 Cor 11:5-6). Today most recognize that the head covering requirement was a cultural prohibition and not a timeless one (although John Calvin thought it was timeless!). A woman who removed her head covering while praying or prophesying was mimicking another pagan religious rite. Michael Marlow notes that there “are many points of contact between the practices of the mystery cults and the issues Paul deals with in his letters to the Corinthians”. (2) Paul wanted the women of Corinth to make changes in their lives in order be distinguishable in behavior and appearance from the pagans around them. As a side note, a common Greek head covering was a headband. Paul wasn’t necessarily concerned with visible hair being immodest. We also see the cultural context in Paul’s exhortation for slaves to obey their masters (Colossians 3:22). Few today would argue that Paul was an advocate of slavery. However, in a society that permitted slavery, it was best for Christian slaves to obey their masters. In this way the Christian slaves set a Godly example. Having the heart of a servant requires willingness to set aside one’s rights. We see this principle at work when Paul requires that Timothy be circumcised (Acts 16:3). Yet in a different context, Paul prevented Titus from being circumcised (Gal 2:3-5). Preaching the gospel and helping the weaker believer are what is important, individual rights are less important. Freedom is great when it fosters the gospel (Galations 5:1). We are free in Christ, and if a group of people know better, they should not set up barriers to restrict someone from using their God given talents. That is why we see different approaches with the circumcision of Timothy and Titus. Timothy’s circumcision advanced the gospel, but Titus’ circumcision would not have. So it was not demanded of him. Paul would not allow the Judiazers to create false requirements to exclude Titus from ministry. The same principle applies to women preaching. If a woman’s preaching is beneficial and done for the good of others, it ought to be encouraged. In an egalitarian society such as ours, women should be encouraged to preach, teach, and use their gifts of leadership. Preventing them from doing so is sinful. It is done by creating false requirements made with the same spirit of the Judiazaers of Galatia. Yet, there may be other cases where a woman preaching is not beneficial (say to a Muslim male). Likewise, there may be times when a man should not preach (say at a battered woman’s shelter). In such cases, those with the heart of a servant do not demand their liberty. Paul sometimes distinguishes between his personal preferences and what God says (See 1 Cor 7:8-12). Paul expresses a personal desire in 1 Timothy 2:11 when he says “I do not permit a women to preach.” Paul doesn’t say God prohibits all women from preaching, rather he (Paul) does, in that given place and time. As demonstrated above, Paul had good reasons for not permitting it. …Paul had no intention whatsoever of laying down a timeless and universal principle prohibiting women from either teaching (preaching) or exercising positions of leadership in the church. Rather, he was cautioning women from assuming roles for which they were neither trained nor equipped at that time. He was encouraging them to be submissive and quiet learners until they had been fully instructed in “true doctrine,” after which they would then be qualified and competent to exercise the authority of one who teaches sound doctrine. As Apostle to the Gentiles, Paul was motivated to do the things that would be for the good of many – that they might be saved. His temporary prohibition of women speaking should be understood in that light. Elsewhere in First Corinthians Paul implicitly acknowledges that women can prophesy in a public setting (1 Cor 11:5). This gives more evidence that Paul was not setting down a timeless principle for women to be quiet. In addition, we have other examples in the New Testament of women prophesying (Anna, Phoebe, Priscilla, the daughters of Phillip). In conclusion, there are no timeless prohibitions against women preaching. It is a mistake to use Paul’s writings in a way that blocks women from using their gifts today. In fact, it is sinful to set up false barriers that block women from serving God in their calling. At the same time, we as Christians need to remember that we are called to preach the gospel with the heart of a servant. It is not about our rights, but is about the gospel of Jesus Christ. Having spent much time studying the scripture as it touches masculinity and femininity, the roles of the genders, the bearing of the Image of God, and authority as designated by God, I must say that the heart of the Scripture is missing here. God desires that we preach the gospel, male or female, in our bearing His Image. He also clearly differentiates between the “preaching” and the authority He designates. God has clearly stated that women answer to man’s authority, men to Christ’s, and Christ to the Father’s. Therefore, if in “preaching” a woman usurps authority (takes authority over men) she is out of line, per the word of God. That doesn’t mean the preaching is wrong, but the usurpation is wrong. There are clear lines in Scripture that we are to understand. If there is a man to lead, he should. It is his responsibility. If there is no man to lead, then a woman may, but should not carry authority over men. Perhaps the definition of preaching is what is in question here. A life lived in service to Christ is preaching, as is speaking the gospel, the truth in love, etc.. These are appropriate for any member of the body of Christ, jew or greek, slave or free, man or woman, and do not depend on those designations to be appropriate. Also speaking an organized thought or lesson, is appropriate for any, provided that it is under the proper authority. An action is one thing. Authority is another. So many confuse the two. I do find it interesting that you speak of the pagan matriarchal culture inherent to the timeframe in which Paul wrote. It’s the same now as it was then. Feminism and misunderstanding have elevated women to a position of power over men, and men have stepped back to become passive and subservient to women, which places us in exactly the same cultural climate to which Paul was speaking– thus proving Scripture accurate, applicable, and timeless. It would be helpful if you interacted with the content of the post. That being that there is a cultural context to the issues that Paul is addressing. There are women who are called to preach and to lead. It is wrong for me to use my masculinity as an excuse to usurp the God given authority of a talented leader who is a woman. It is sinful to set up barriers that prevent women from using all of their talents, and from following their calling. I too believe God’s word and study it. I take the Bible very seriously. And I believe that your assertions here are wrong and are not faithful to God’s word. They are at best a mistake, and at worse sinful. There is no universal Biblical principle that prevents women from leading. I’m not sure why you believe that I’m sinful in referring to the truth of scripture (1 Corinthians 11:3 “But there is one thing I want you to know: The head of every man is Christ, the head of woman is man, and the head of Christ is God.” and Ephesians 5:23 “For a husband is the head of his wife as Christ is the head of the church. He is the Savior of his body, the church.”), but I’m glad that I don’t suffer that illusion. Thanks for reminding me that this is your blog, not a conversation. Those verses you quote don’t prohibit women from preaching and being in leadership. They don’t address it at all. Being in submission in one context does not prevent one from being a leader in another context. A wife can submit to her husband, and be a leader in her church at the same time. Or a single woman can be a leader in her church. See Col 4:15 for example. I’m curious, do you pray with your head uncovered? Scripture states that it is disgraceful for a woman to pray with her head uncovered. Or do you perhaps recognize that Paul was addressing an aspect of culture? Again, the point of the post was that we need to take into account the cultural context of Paul’s prohibitions. I did use strong language, because your view is a stumbling block that prevents women from fully using their God given talents. Much like the Judiazers, you set up false requirements that exclude, and that is wrong – even if it is well meant. Based on what scripture teaches and the example it provides, women are to be leaders. If you haven’t already, check out the post entitled: Women are called to preach – part 1. There I lay out the scriptural case. There are specific examples of women leading in the early church, just like they can (and should) do today. By the way, you might make a good preacher too. :) God bless. Yes. There are women who are called to preach. But they are not called by the Word of God. Many so-called Christians in this world are “called” and that’s the nature of Satan. There is absolutely nothing in the Bible that justifies or changes a woman’s stance. There are some passages that may “seem” to justify a woman preaching in the church. But it doesn’t mean “in the church”. Women can teach other women and children in the home. In the church, their place is the same as always. Go to this link. They explain it much better than I could and can shed clarity on those passages that people misinterpret. Hi Joe, thanks for your comment. I strongly disagree with you, but appreciate your attempt to honor God and His word. Check out this series on the context of 1 Timothy 2. It’s a 5 part series, but I just linked to part 3. It specifically addresses the context of 1 Timothy 2:11-15, and why Paul was addressing the cult of Artemis (without giving it credence by specifically naming it). It also gives context to 1 Tim 2:13-15 (when Paul brings up Eve and states women are saved by having children). Significantly, Artemis followers claimed that Eve came first, and that Artemis saved women through childbirth. Taking “culture” into account doesn’t justify the distortion of God’s Word. Look at present day culture. Sin has become the norm and many Christians don’t see many sins as Sin at all. Television for example is a tool of Satan that leads to Sin. Voting for a leader that has the job of killing others in the world in a Sin. You don’t have to directly participate in a sinful act to commit Sin. If you do something that leads you or others to Sin, then you are sinning. Therefore, my point is that NO ONE gave us the authority to take God’s Word out of context through a presumption. We are to live IN this world, not OF it. Tis means that God’s Word applies at it is written at all times, regardless of what changes occur in culture. God gave his reason and that has not changed in his Words. If you want to believe otherwise, you are twisting God’s Word to accomodate your life, and that’s a self serving bahavior. Why doesn’t Paul reference the culture in 1 Cor 11? I can’t find it anywhere that it states because of the culture put this on your head. Hi Jimmy, you can see really see Paul establinshing that principle in 1 cor 9:19-23, 1 cor 10:23-24, and 1 cor 10:32-33. Just got around to reading this and I want to thank you. I have one question, many complementarian argue that this phrase: “For it was Adam who was first created, and then Eve. And it was not Adam who was deceived, but the woman being deceived, fell into transgression.” make it not a culturally based opinion but a doctrinal statement. Since Paul directly relates the authority issue with the created order and does not do this with the woman’s dress code. That sets it apart. I personally don’t find it very compelling. What they are basically saying is that “Just because God created Adam first and eve second” then she is not to have any authority over men at all in the church, they also argue that this does not apply to Government or other areas only in the church. The problem I find is taking a literal doctrinal stance on Verse 12-14 only because of the inclusion of the “created order” and a figurative cultural stance verse 9-15! I think it is a dishonest exegesis, that ignores the cultural context and the intent of the letter and instead of seeing the intent of Paul’s requirements for women in Corinth, (Making his case to the women and men alike in Corinth by conjuring up the created order) they want to make some of it literal and doctrinal and some of it figurative and cultural. That’s just to much dancing around the historical context for me. I have just recently settled this issue in my own mind, and if you think I missed something I would gladly listen. Enjoy your blog by the way. Thanks for stopping by JC, and for the good thoughts. Here’s my take on 12-14. 1) As your rightly point out, It’s not sound to parse the passage and take 12-14 literally, and the rest culturally. Verse 15 is the most problematic with a literal reading. On face value it propose that only women who bear children can be saved. No even the most ardent authoritarian would argue that! 2) There is no sense of a hierarchy in Genesis until after the curse of the fall (Gen 3:16). Prior to that (Gen 1:27-28), both Adam and Eve are given authority and dominion. The oppression of women was not part of God’s original plan, and women in leadership reflect the healing of creation. 3) Paul shoots down the created order argument in 1 Cor 11:1-16 (another passage that deals with cultural issues – head coverings). Verses 11-12: “Nevertheless, in the Lord woman is not independent of man, nor is man independent of woman. For as woman came from man, so also man is born of woman. But everything comes from God.” Since Adam there is a sense in which the created order has been reversed, every man (including Jesus) is born of a woman. The sexes are dependent on each other and on God. Where does it say in the bible, not in your mind, where corinthians 11 is cultural? What leads you to believe it is cultural? It was the cultural practices of that time for women to wear head coverings. Clearly that is not the practice in our time. Very view Christian women wear head coverings. 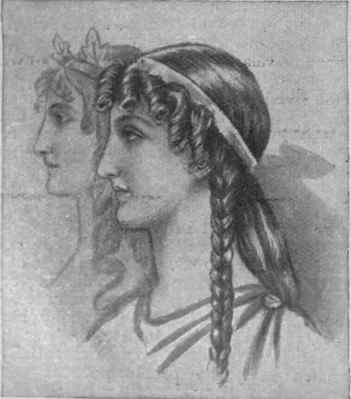 And as I mentioned in the post, a common Greek head covering was a headband. Paul wasn’t necessarily concerned with visible hair being immodest. One thing that Paul repeats over and over in Corinthians is that we are free in Christ. You can see this throughout chapters 8-11. At the same time, the way others perceive us is important. Our priorities are to win others to Christ and to not cause others to stumble. 1 Corinthians 9:19-23 – Paul is free, but he uses his freedom to behave different ways in different environments so that he can win as many as possible to Christ. 1 Cor 10:23-24 and also 1 Cor 10:32-33 – We have the right to do anything, but our first priority is to seek the good of others, not ourselves. No women preached, Nowhere. Even the women that women use as examples to preach never said or is recorded that they preached. ex mary magdalene, deborah, phillips daughters, by the way whenever phillip received a vison it was by Agabus, think that’s his name not his daughters. Check out part #1, that’s where I make the positive case for women preaching. Thank you sir!! Just read both of your post for this series, and I appreciate you for standing up for the TRUTH!! God bless you sir! Keep up the God work!! Very good and well done. I am a God called anointed woman preacher. I know I’m called of God and He uses me under a mighty unction of the HolyGhost. There’s not a male nor a female. If a woman is truly a child of God she will know how to obey God in her calling and know her place as a wife and a woman. The HolyGhost leads and guides us into all truth. I’ve seen God work miracles for people through my ministry. And all those out there that says women preaching is of satan, you better be careful, because blasphemy against the HolyGhost is an unforgivable sin. It interests me in how this topic is dealt with and as you’ve posted on it I’ll take that as an example. In your previous post entitled Women Are Called to Preach – Part 1 you come to the conclusion “Women should preach because God desires it” which I suspect is true BUT (and to me it’s a big but) you come to that conclusion without actually giving a scriptural example of a woman who preached. You say things under 6 interesting headings but don’t provide one example of what you’re trying to justify. The first line of text is “Does scripture preclude the possibility of women preaching and teaching?” Whoa! The heading is “Women are called to PREACH” (emphasis mine). How can you just add teaching in if it wasn’t addressed in the first post? However you then quote 1 Timothy 2:11-15 and say “These passages are not universal prohibitions for women preaching” [not picking on you here Kevin, but you seem to be arguing your point in the usual way so I’m asking why?] and you are right because they don’t mention preaching, they mention the two things that Scripture does prohibit, teaching and being in overall leadership and Scripture gives a very specific reason for this “For it was Adam who was first created, and then Eve. And it was not Adam who was deceived, but the woman being deceived, fell into transgression”. And as far as I can see this reason is never addressed. Above is mentioned The Cultures of Corinth and Ephesus and Should All Women Wear Head Coverings? and Preach the Gospel with the Heart of a Servant and Paul’s Preferences and Prophesying in Public? but not the consequences and implications of Eve being deceived. Below is an example of teaching on Justification and Imputed Righteousness. It’s at https://www.youtube.com/watch?v=IapqqQ45Q4w in case the imbed code below doesn’t work, but it’s not preaching. Preaching and teaching are different and can’t just be chucked into the same basket yet so many people do that. It does annoy me a little that people argue that woman can preach (which as far as I can tell is not spoken about for or against in Scripture) then add teaching to preaching under the covers when women teaching IS specifically prohibited and they add it without addressing the clear words of scripture as to why it’s prohibited. I think women can both preach and teach, and that there is enough overlap to put them under the same banner. The two go hand in hand. Paul illustrates this in 2 Tim 4:2, “Preach the word of God. Be prepared, whether the time is favorable or not. Patiently correct, rebuke, and encourage your people with good teaching.” More often then not, the women leaders in the NT were doing more of what we would call teaching anyway, as leaders of house churches. Priscilla teaching Apollos, for example. As I argued in the post, Paul’s instruction to Timothy was for that particular situation and not a universal prohibition. Here is a comment from Wesley to the passage on 1. Tim 2, 14: The preceding verse showed why a woman should not “usurp authority over the man.” this shows why she ought not “to teach.” She is more easily deceived, and more easily deceives. I am from germany and dont want to argue on this topic. Lots of great comments are posted above. I think a woman is called to preach but not in church. I can not and will not allow something that is against gods word. I am not able to rebel against him through cultural relativism. I hope you will come to the right conclusion and change this post with a humble heart. Have a nice day. Greetings from germany. And god bless! Thanks for the comment. Wesley’s view changed as he got older, and he eventually began to encourage women to preach. He ordained two women – Sarah Mallet and Sarah Crosby. As I argued in the post, Paul’s prohibitions were specific to the cultural context, and were not universal prohibitions. Good work Kevin I believe in Joel 2:28 on these matters Joel- if it’s end times its now. The subject it’s confusing. Why this scritures were recorded, and when we must and when must not used. 1 Tim 2:11-12 & 1Cor14:34-35.